The UK Ministry of Defence (MOD) has ordered a third Zephyr-S Unmanned Aerial Vehicle (UAV), as part of a £13-million contract with Airbus. Zephyr-S is the latest version of a series of ultra-lightweight UAVs, capable of flying up to 70,000ft – twice the altitude of a commercial airliner – for up to 45 days at a time. 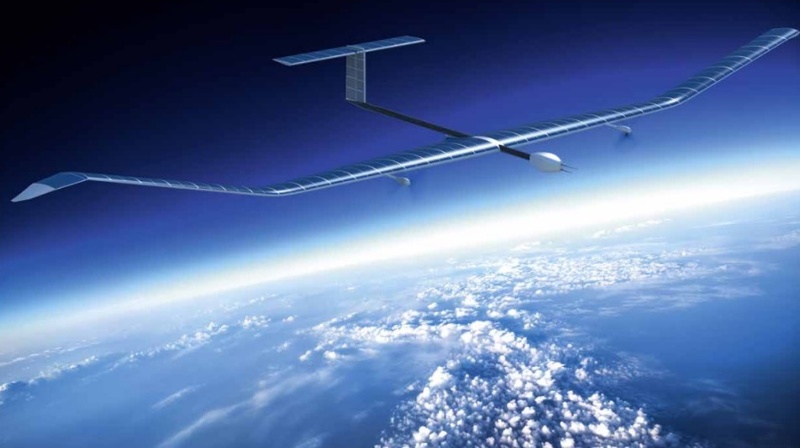 Referred to as a High Altitude Pseudo Satellite (HAPS), it performs more like a satellite than a conventional UAV, the MoD said in a statement. “They are part of our plan for stronger and better defence, backed by a budget that will rise each year of this decade. That means more ships, more aircraft, more troops available at readiness, better equipment for special forces, more being spent on cyber – to deal with the increased threats to our country,” he added. The third Zephyr-S will join the two previously ordered by the MOD in February. Built in Farnborough by ADS, all three will form part of an Operational Concept Demonstrator (OCD) to assess Zephyr’s capabilities and explore its potential for use by the UK Armed Forces and other Government Departments. The additional Zephyr-S will allow 2 airframes to be tested simultaneously and demonstrate operational handover to show that the capability could be sustained indefinitely. The OCD trials, which will be held in 2017, will inform Defence’s decisions around how best to provide next-generation battlefield intelligence to the UK Armed Forces.